The Kardashian Kids Did the Correct Halloween CostumesHow did we not all think to do this? 12 Great Movies Exploring the Unique Horror of Being a WomanThis Halloween, the call is coming from inside the house, and by “the house,” we mean the patriarchy. Count Trumpula Declares the War on ‘Ween OverHe also loves candy corn, of course. The Original Wicker Man Is the Perfect Horror Movie to Watch This HalloweenWomen provide its central terrors, and a theme that resonates strongly this year: the fear men have that women are colluding against them. 30 Great Black-and-White Horror Movies Worth RevisitingClassic films, cult favorites, and a couple newer titles. A Brave Hero Is Carving Jack-o’-Lanterns of the Entire Cast of Tag … for a PriceThis is the feel-good story we needed right now. After Rudolph, Rankin/Bass Got Spooky With Weirdly Delightful ResultsThe stop-motion animation team recruited an all-star cast to write and voice a 1967 Halloween movie that’s as much for grown-ups as kids. Papier-Mâché Eyeballs, Go-Go Dancers, Secret Passwords: A Look at The EyeslicerDan Schoenbrun and Vanessa McDonnell’s traveling horror experience combines short films and art with an internet-savvy sensibility. 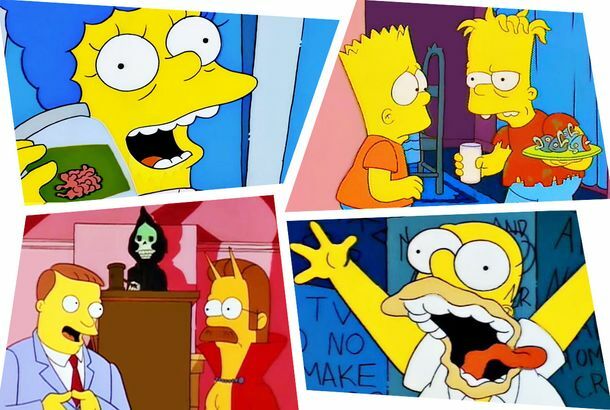 Ranking Every Simpsons Treehouse of Horror Segment, From Worst to FirstThe Simpsons’ long-running Halloween specials are indeed a disturbing universe. 20 Great Halloween Sitcom Episodes to Stream This WeekendBob’s Burgers, Happy Endings, and more. 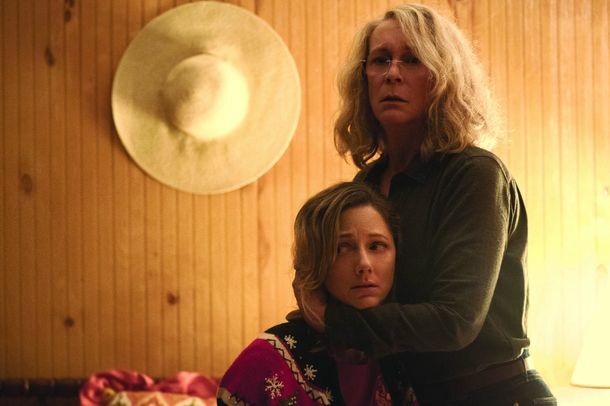 Halloween Might Break the October Box Office RecordLook out, record! He’s right behind you! The Creator of the New Michael Myers Mask Explains the Face of EvilOscar winner Chris Nelson knew he had a very big job to do. Every Easter Egg in the New HalloweenHalloween is peppered with references to its predecessor: visual homages, character callbacks, and inside jokes, some obvious and some nearly buried. Every Movie in the Halloween Franchise, RankedFrom John Carpenter’s original Halloween to David Gordon Green’s latest entry. The Story Behind the Original HalloweenHow John Carpenter crafted a film that transcended its meager roots to become a game-changer in the horror genre. Michael Myers Carves a Bloody Path Through Haddonfield in New Halloween TrailerSee it in theaters October 19. Here Are the Rest of the Horror Movies Coming in 2018Including Halloween, The Nun, The Little Stranger, Suspiria — and so many combat-enhanced Nazis. The Chilling Adventures of Sabrina Will Arrive Just in Time for HalloweenWhat, did you think they would release it right before Thanksgiving? Come on. How Jamie Lee Curtis Sort of Saved a Guy’s Life at Comic-ConIt involved knitting needles and screaming. Laurie Strode Lives, in First Look at Jamie Lee Curtis on the New Halloween SetShe’s back home in Haddonfield, Illinois. Halloween 2017 Is Dead and Gone, But Beyoncé’s Lil’ Kim Halloween Looks Live OnShe posted a rainbow of Lil’ Kim Halloween costumes on her website Friday. How All of Your Favorite Celebrities Celebrated HalloweenWhich costume is the best? How Elvira Became the Queen of HalloweenThe Mistress of the Dark on ending her Knott’s Scary Farm show, that “super uncomfortable” costume, and the goth mansion she sold to Brad Pitt. Love Actually Can Very Easily Be Turned Into a Horror MovieYou can’t unsee it. Horror Movies Are Now, Officially, Preferable to Real LifeWe’ve reached the horror-movie Singularity.